PVC (vinyl) White Vertical Blinds are our best value. 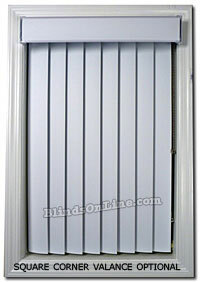 Smooth PVC is the same color white on the front and back of each louver. When closed these blinds will block about 80% of the visible light. All come standard with our heavy duty anodized aluminum headrail. Available with an optional dust cover valance. Split draw or One Way Draw available at no additional cost. Our 3 1/2" vinyl louvers are standard. White Vertical Blinds are available in widths up to 192 inches. 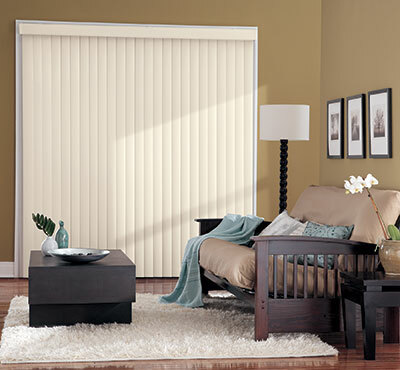 White vertical blinds are a classic choice and they give your windows a smooth, clean look. They’re a perfect for windows in your home or office and you’ll find that our blinds are high-quality and affordable. Don’t waste any more of your time shopping for white vertical blinds in over priced home improvement stores. Discover the convenience of shopping at BlindsOnline.com – not only will you save time, you’ll also save money! Long-lasting, durable blinds don’t have to cost you a fortune. 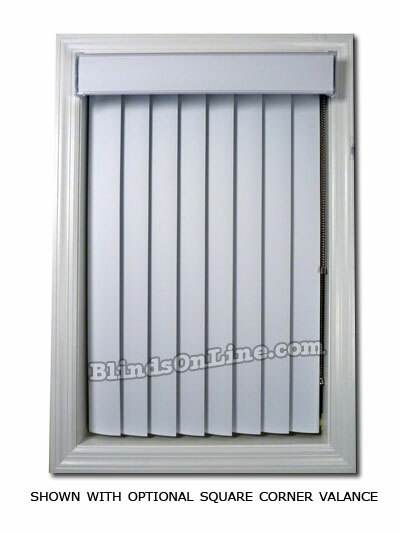 Buy from BlindsOnline.com and you’ll get high-quality white vertical blinds at the most affordable prices anywhere. 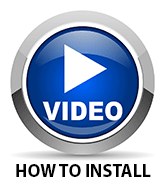 "Easy to install, but slow to ship."